When an employer optimistically entered into a written employment contract with a young executive that included a substantial salary over a ten-year term, executive perks and retirement benefits through age 65, as well as a generous severance package, the employer turned to Attorney Jonathan Braverman for help when it became readily apparent that the young executive did not come close to meeting expectations after less than one year on the job. The client had not consulted with counsel prior to entering into the employment agreement, much of which was drafted by the employee using provisions from agreements borrowed from much larger firms. Although the contract did not contain any provisions setting a standard for competency or performance of the employee, Jonathan was able to demonstrate to the Court that the employment agreement was unenforceable based upon facts elicited at the employee’s deposition. Jonathan demonstrated conclusively that the contract had been executed by both parties on a Sunday and was therefore illegal and unenforceable. Although archaic and subject to numerous exceptions added over the years, the Massachusetts Common Day of Rest Law remains on the books. Jonathan was able to apply the law to obtain an early and favorable disposition of the case. 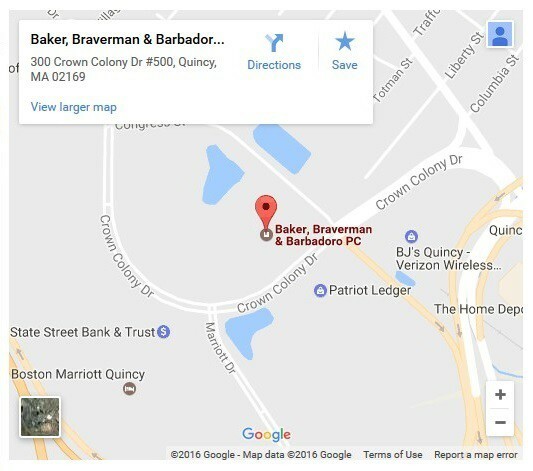 At Baker, Braverman & Barbadoro, our attorneys are skilled at using both the facts and the law in order to protect our clients with both aggressiveness and creativity.